Tony Nourmand is the founder and Editor-in-Chief of R|A|P. Tony comes to publishing from a successful career in gallery ownership, art and film. 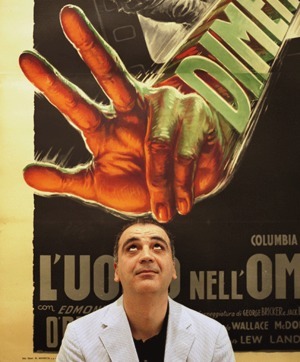 Tony was the consultant for vintage movie posters at Christie’s, London, where he was instrumental in transforming the market in movie posters from obscurity into a globally collected art form, with examples commanding six figure sums at auction. For twenty years, he co-owned the groundbreaking Reel Poster Gallery in London, where he authored several definitive best-selling books on film posters.